Another productive day at the Banni grasslands with Jugal Tiwari, Shreeram MV and Rajiv Ramanathan. The day started early with a sight of an Indian Fox chasing an Indian Hare in pitch darkness. The fox was gaining on the hare which was making rapid-fire direction changes to gain back the advantage when we lost track. A short and quick sighting of the Grey Hypocolius started off the session. 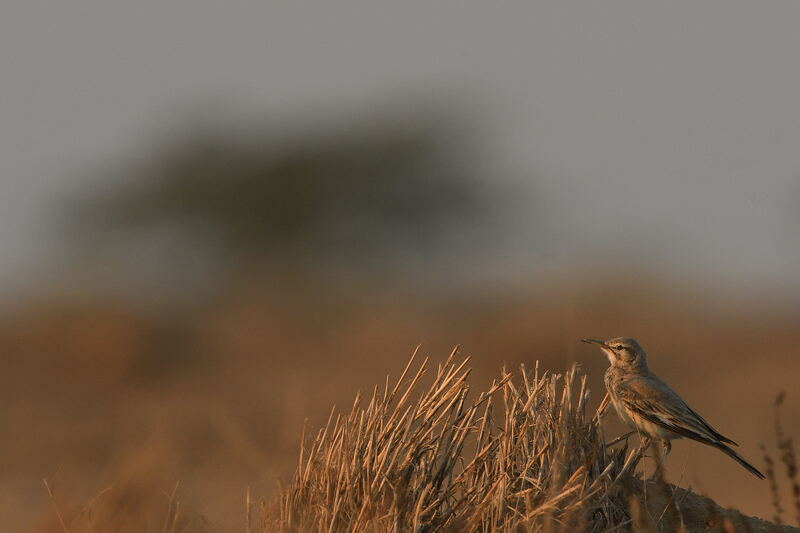 Spent atleast an hour trying to capture images of the Spotted Sandgrouse and the Cream-coloured Courser. And as we were getting back for lunch, we stumbled upon the Common Quail and the Bimaculated Lark. The highlight for me was the last 45 mins of the day. We had sighted the Macqueen’s Bustard a couple of times but they were too far away to click and too skittish to get any closer. So we drove into the White Rann hoping to spot the Greater Hoopoe Lark. About 30 mins into the search we gave up and decide to head back when we spotted one. The guy was super active and kept moving away from us. Hoping that an approach on foot might work better, I set off on a 15-20 min crawl-chase while he continued to move away. The damn bird is a bit too fast for someone crawling with a 600mm and a bean-bag, but I kept at it, huffing and puffing. And was rewarded for my effort and exertions with a lot of images of this bird – one that has been on my wishlist for nearly 3 years now. Dusting the sand and mud off my trousers has never felt so fulfilling! !